Spiralized salad with creamy almond dressing for lunch today! Spiralizing madness continues 😀 Once you try using a spiralizer, it’s so much fun that you can’t stop using it! This time I tried blending three different types of noodles – beets, cucumbers and zucchini – and that mix was absolutely delicious. Garnished with cherry tomatoes and dressed with creamy almond sauce, this salad will definitely impress even the most picky of your guests! Wash and peel all salad ingredients. 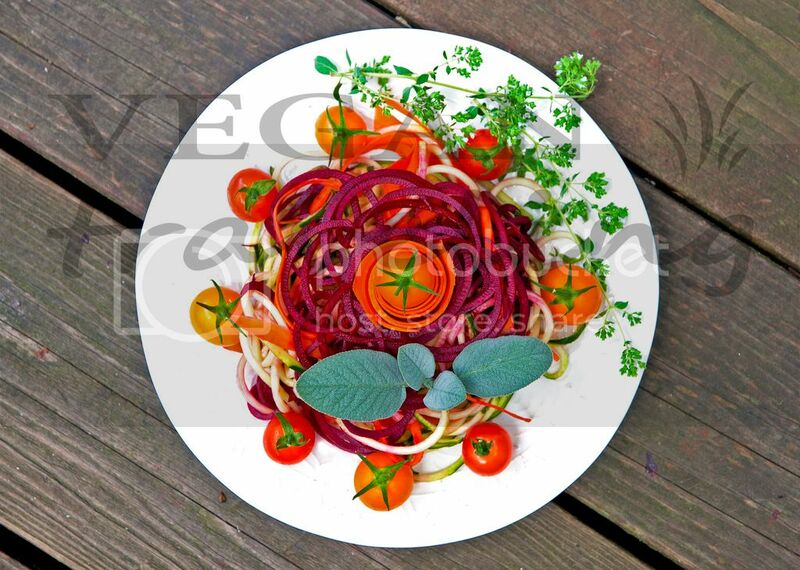 Spiralize them on smallest Tri-Blade spiralizer blade to get long thin noodles.